GRAND RAPIDS, MI – Dr. Lynn Happel’s patients usually consist of cats and dogs. However, on special occasions, she works with more exotic animals from the John Ball Zoo, such as Yogi, a 560-pound grizzly bear, or Nika, a female tiger. A local veterinarian, Happel is known for her dental work. She recently performed a root canal on Yogi. She also is scheduled to complete dental work for Nika in the coming weeks. 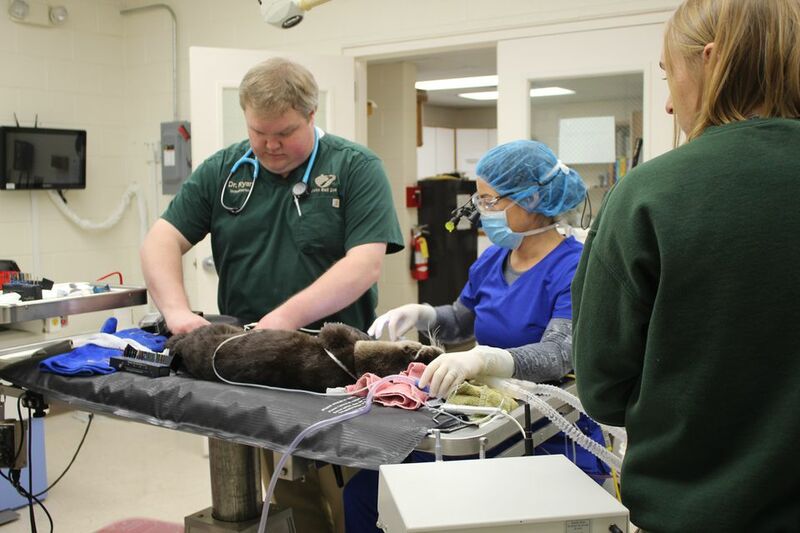 John Ball Zoo’s veterinarian Dr. Ryan Colburn met Happel through one of her associates, who attended Michigan State University’s College of Veterinary School with Colburn. When John Ball Zoo falls into deeper cases, Colburn doesn’t hesitate to call in a specialist. 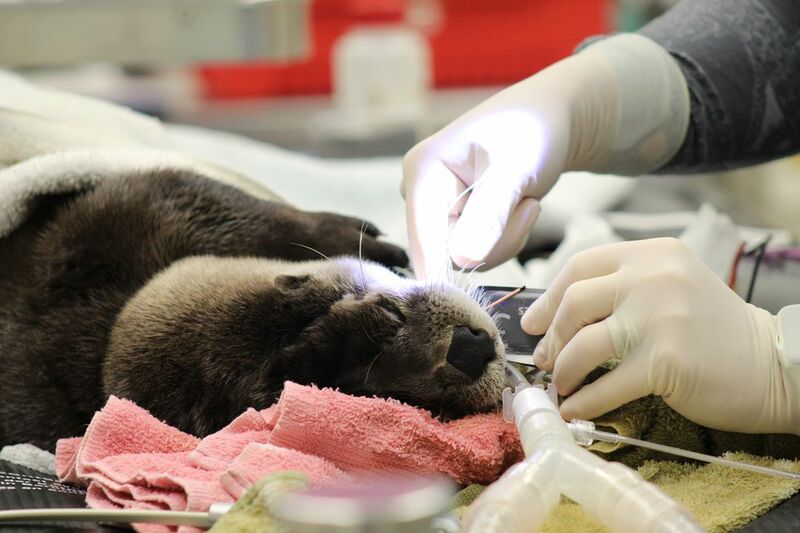 There have been several ophtalmology cases where the zoo has brought in an ophthalmologist to perform cataract surgery. In the beginning of the year, the zoo had two separate cases where a penguin and a snake went through cataract surgery. 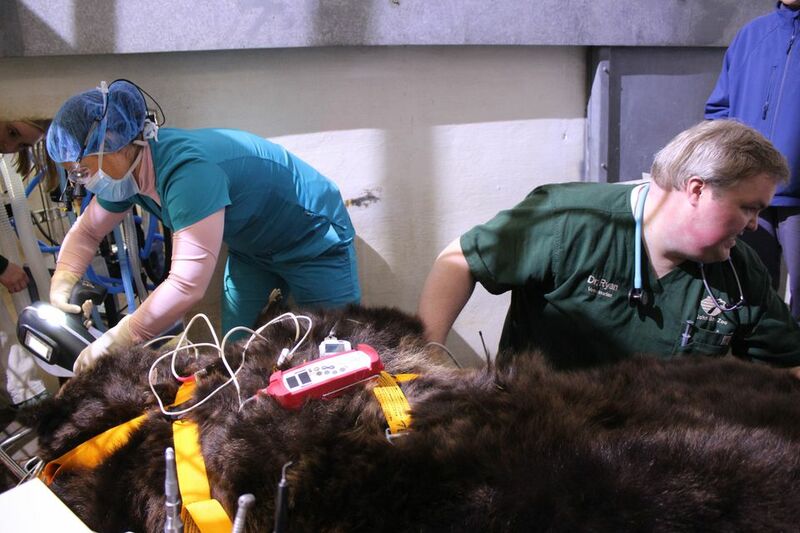 In most cases, the zoo is able to handle procedures on site but for special cases, such as a root canal on a grizzly bear, a otter, or a tiger, Colburn calls in Happel. 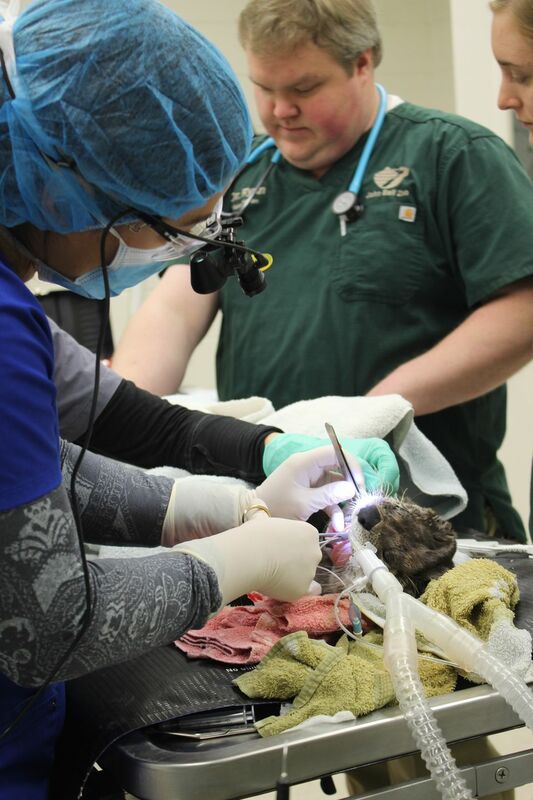 Happel is a specialist in advanced training in vet dentistry and has performed several procedures for John Ball Zoo over the past couple of years. 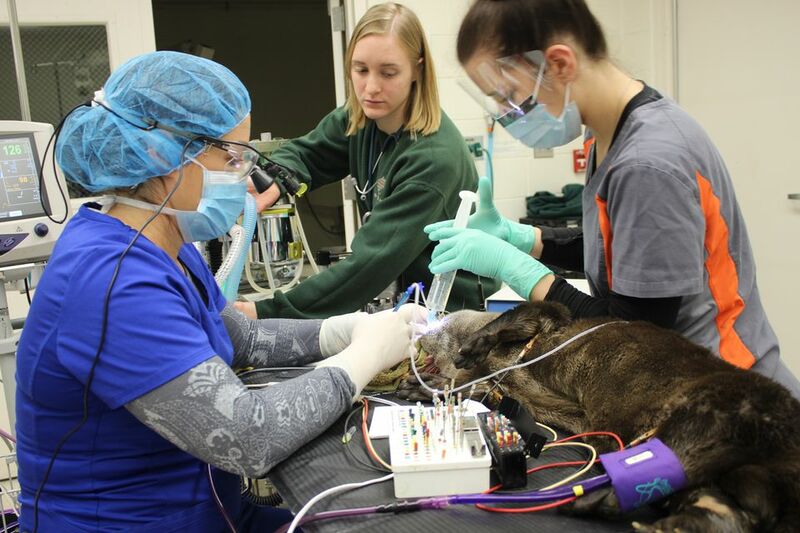 She is scheduled to do a root canal in a few weeks on Nika, the zoo’s female tiger. Zookeepers were doing a routine walk-through when they noticed Nika had broken a tooth. 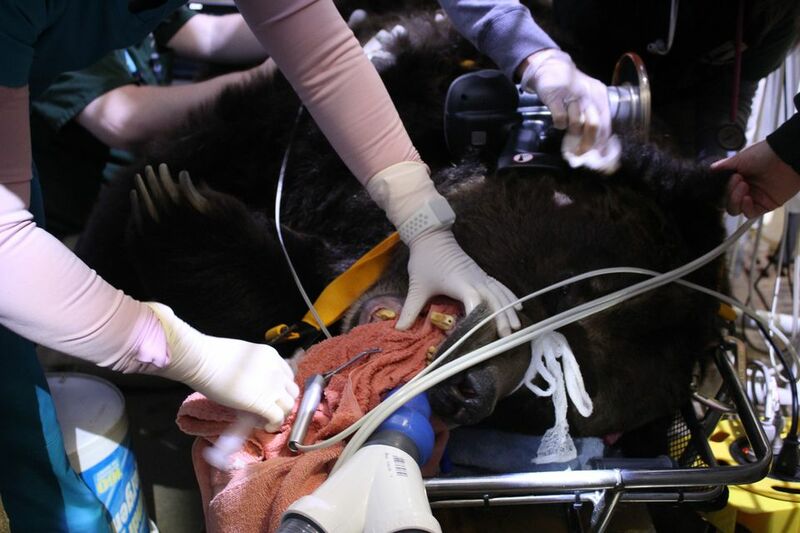 For Yogi, the grizzly bear, he was due for a root canal. He had some worn teeth and fractured the tips of his canine teeth, which is pretty common across all the carnivores, Colburn said. 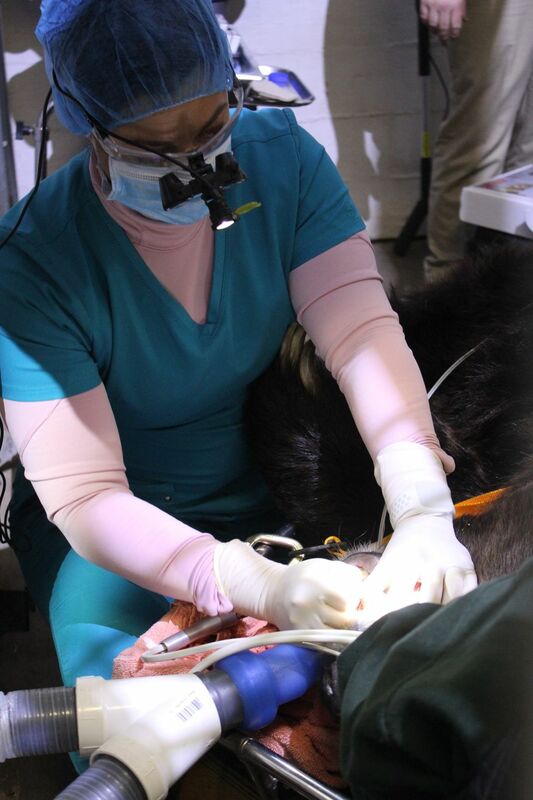 At more than 500 pounds, the bear requires that a group of people physically get him into position for Dr. Happel to do the root canal. 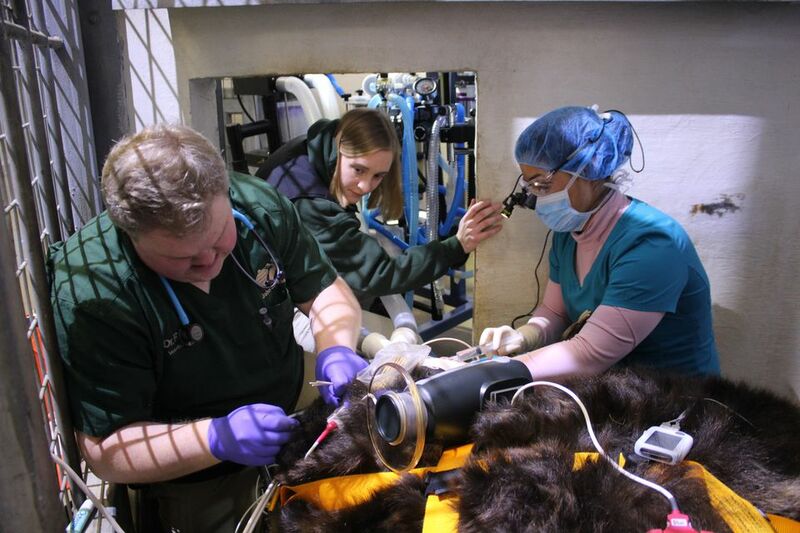 While Happel does the procedure, Colburn, zookeepers and technicians work together to make sure they’re staying on schedule. Colburn tries to keep all of the procedures under two hours if the animals are under anesthesia, which is for safety reasons. As the veterinarian for John Ball Zoo for the last seven years, Colburn’s role is to make sure that the zoo keeps all the animals healthy. That may mean taking the animals off site for specialized equipment. With local specialists close by, John Ball Zoo is able to provide around-the-clock care for all zoo animals, no matter their special needs. John Ball Zoo, 1300 W. Fulton St., covers about 31 acres of the 103-acre John Ball Park. The zoo features more than 200 species.